After several days of cool air, including some frost in western North Dakota on Monday morning, the next few days will bring a return of summer heat to the region. 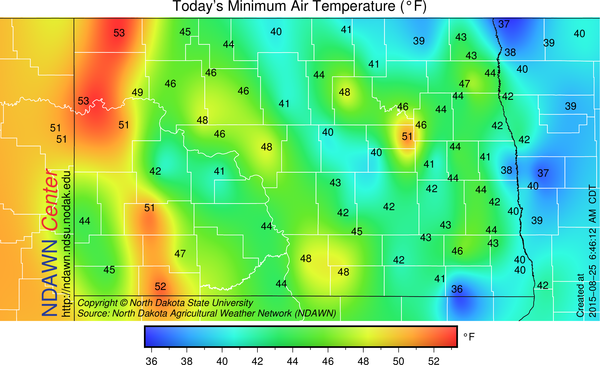 Although not quite as cold as it was in western North Dakota on Monday morning, this morning there were still several NDAWN (North Dakota Agricultural Weather Network) mesonet stations recording minimums in the 30s. 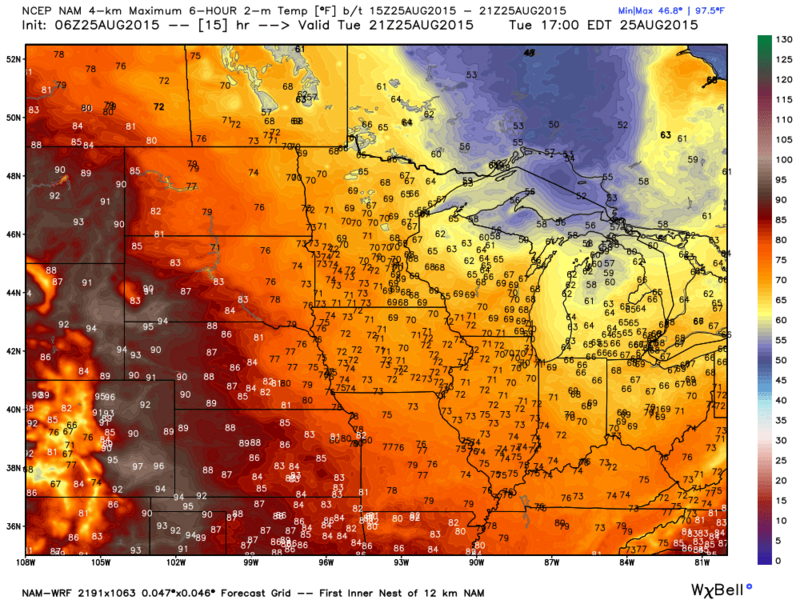 Maximums this afternoon are expected to be generally in the 70s once again, although far western North Dakota should record highs in the 80s. 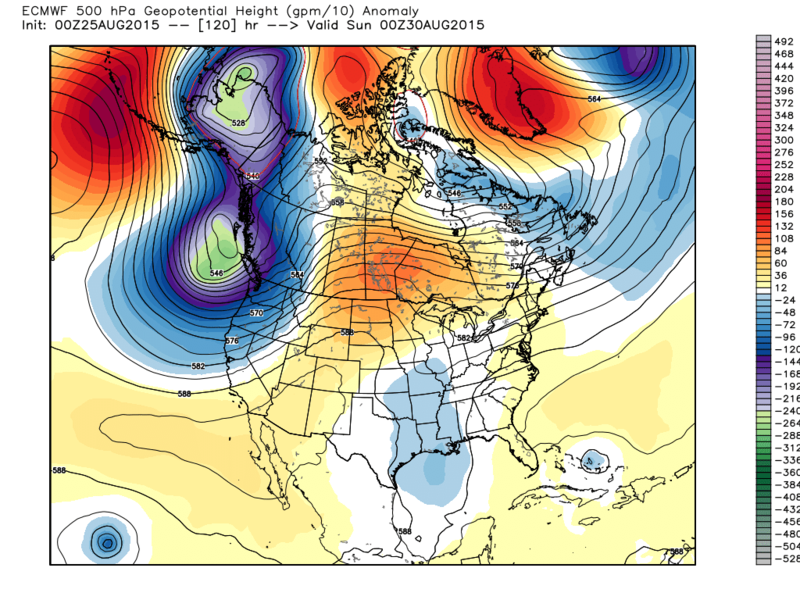 Those warmer temperatures in western North Dakota will slow push east as a trough of low pressure aloft digs into the Pacific northwest allow a ridge of high pressure to build over the northern plains. This in turn should mean a prolong period of above average temperatures beginning Wednesday and lasting into early next week. Main threats of rain (thunderstorms) in the short term appear to be on Thursday (hit and miss, probably more missing) and early next week. So warmer and mostly dry through the weekend.